Building exterior designed by Bergland+Cram. This new 44,951 s.f. 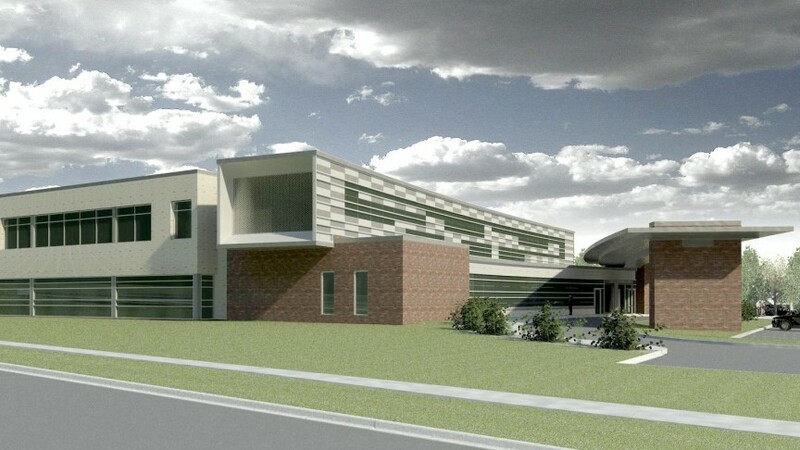 LEED-HC certified project addressed a unique twist to family clinic design: the important overlapping challenge of providing excellent patient care while also teaching University residents and medical students effectively. The University wanted to operate using the concept of the Patient Centered Medical Home, emphasizing team care and care collaboration. The first floor houses a 44-exam room medical home clinic, while the second floor contains faculty offices, conference space, and student spaces. The University elected to utilize an on-stage/off-stage approach to patient care, providing a shared collaboration space for providers, medical assistants, nurses, behavioral health staff, and patient care coordinators. 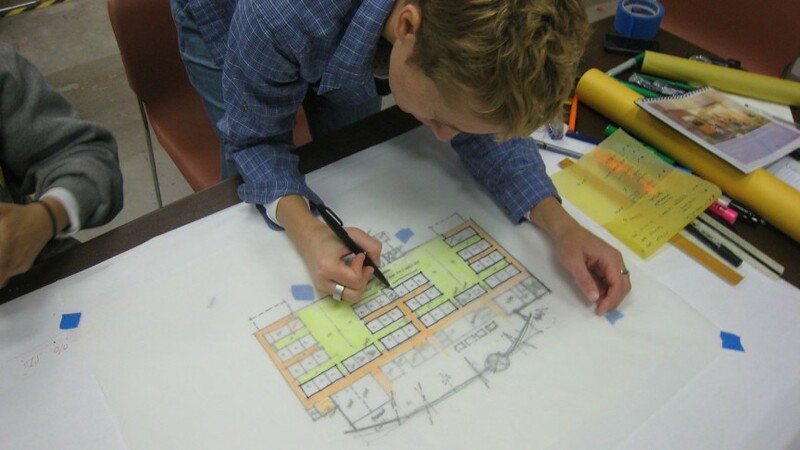 Early in schematic design, the architectural team worked alongside clinic staff during a week-long 3P event that explored both current and ideal processes in order to create architecture that supported clinic function. 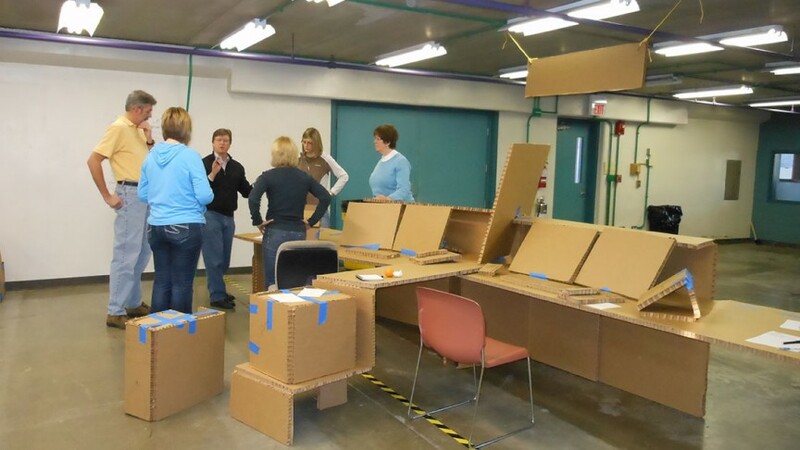 During this event, the group built cardboard mockups and simulated a number of different layouts, and also fine-tuned key spaces such as typical exam rooms. The Architect of Record for this project is is Bergland+Cram. Does my clinic space have to change to make the Patient Centered Medical Home work?